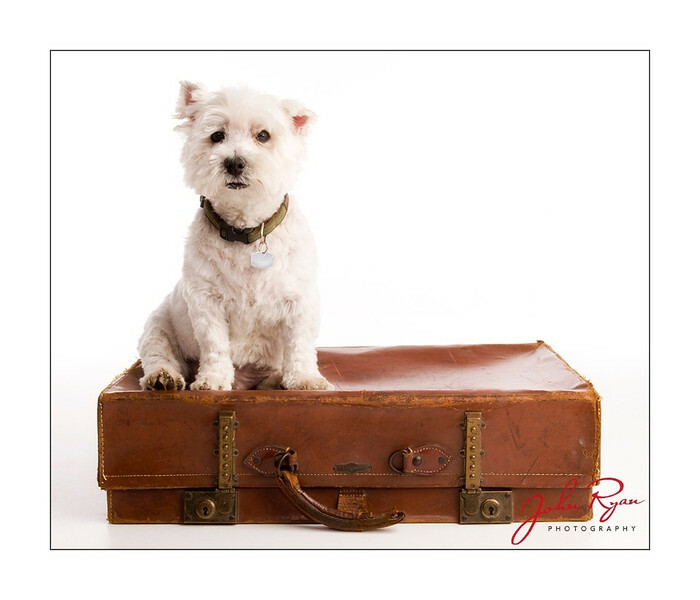 Dublin's award-winning portrait photographer, John Ryan, is literally Going to the Dogs! In order to raise much needed cash for Irish Guide Dogs for the Blind, John will use all of his Pho-dog-raphy skills to create unique “Paw” traits of your Precious Pooches in return for a €25 donation to a great Irish charity. Irish Guide Dogs for the Blind is Ireland’s national charity dedicated to helping people who are vision impaired and families of children with autism to achieve improved mobility and independence. Their core purpose is to enable people with sight loss and families of children with autism to lead better lives become more independent and more mobile. The funding they receive is so important as over 85% of their income is raised through voluntary donations and fundraising through a network of volunteers across the country. It will cost over €5 million to run the organisation this year. To raise much needed cash for Irish Guide Dogs we are donating 50 PAWtrait sessions worth €100 + a 7" Desk Portrait worth €95 to the 1st 50 DIFFERENT DOG BREEDS to complete the form and pledge a €25 donation. Your fur-babies will enjoy the same pampering human babies receive from our award-winning studio, enabling us to produce a fantastic variety of images for you to choose from. We aim to make the journey enjoyable for both you and your pet and there is always something in the styles we shoot which will suit your personal taste and surroundings. Favourite toys, blankets, squeaky toys, treats, bowls or other items your dogs love are always encouraged as part of the shoot as they really help us personalise the session just for your dog. Don’t delay as we can only accept one type of each breed. Click the link and fill in the simple form and press submit and we will be in touch very shortly. Please do not forget to press the SUBMIT button at the bottom of the page.